The Minnesota Historical Society is a cultural institution that transforms lives by preserving, sharing, and connecting people with history. 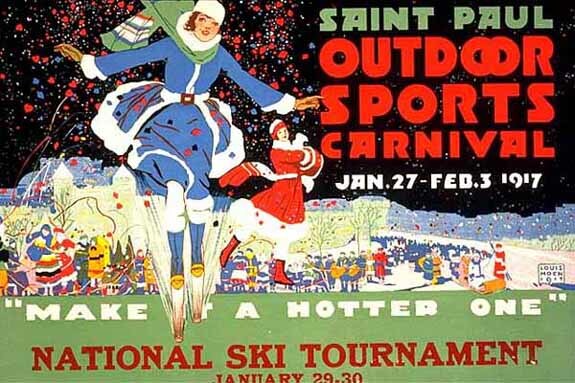 Saint Paul Winter Carnival is a festive time of year, steeped in mythology but created in response to meteorology. 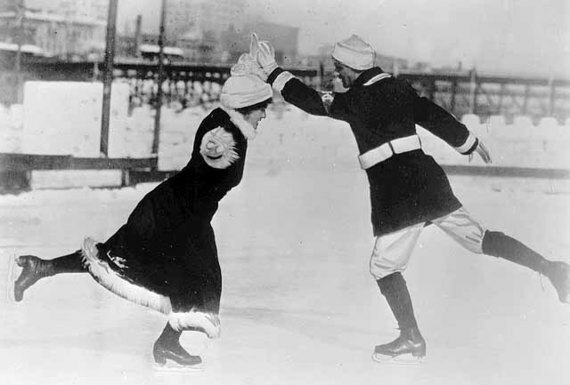 When a New York reporter wrote in 1885 that Saint Paul was "another Siberia, unfit for human habitation" in winter, the citizens were determined to show that not only do they survive in this climate, but they celebrate it and all things winter-related. 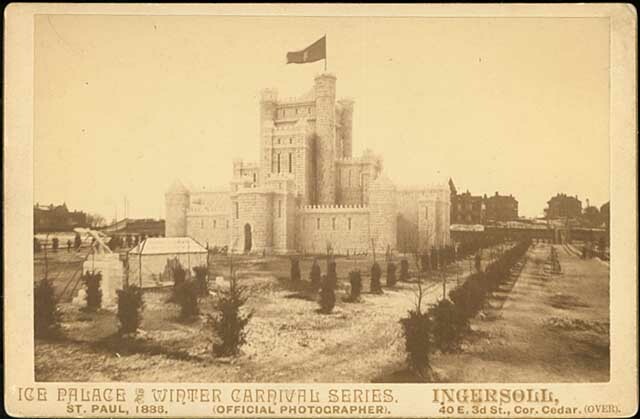 This cabinet photo shows the ice palace built for the first carnival in 1886. At least 12 palaces have been built over the years, varying in size, shape, and whether they can be entered or not. The 2015 version is a courtyard constructed from huge blocks of ice visitors can enter, with a welcoming fire inside. Winter sports have always figured prominently at the Carnival; it's both fun and warmer to keep moving! 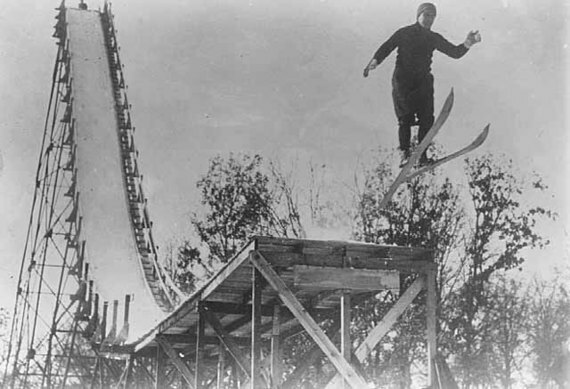 Both the poster and image above are from 1917, when one of the main attractions was this ski jump. Liability issues are likely what keeps this from happening today. 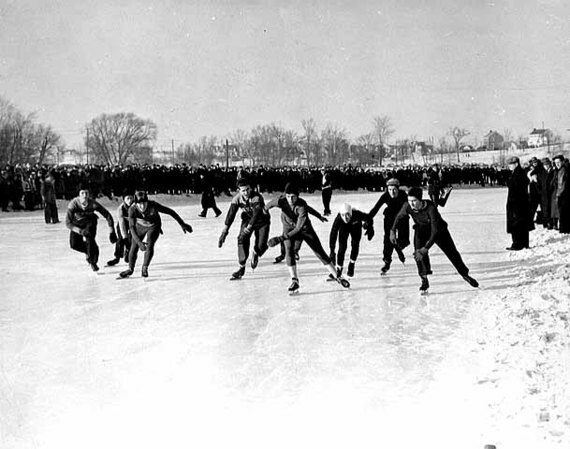 Ice skating, as enjoyed by the couple above in 1937 and the speed skating racers in 1941, is considerably safer. Mythology related to Carnival is evident throughout, from its origin story to the cast of characters surrounding it. 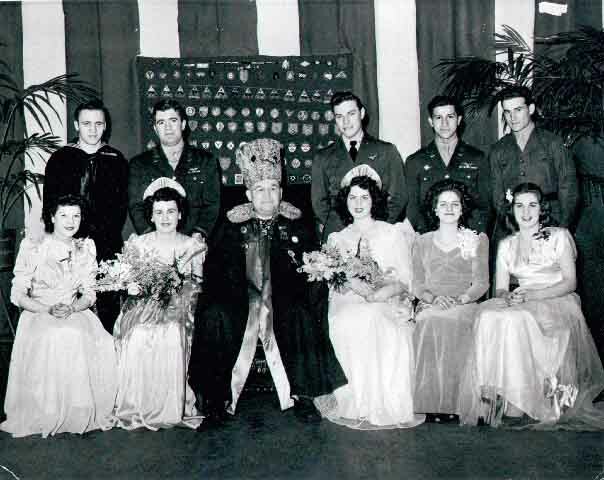 This photo shows the Winter Carnival Court of King Boreas Tommy Gibbons in 1946. Note the uniformed men serving as Princes of the Winds; this was the first Carnival after World War II. The most important part of the story though comes at the end of the 10-day celebration, with the King of Fire (Vulcanus Rex) overthrowing the King of Winter (King Boreas), as seen above in 1946. Admittedly, reality takes some time to set in, but the memories of a happy carnival will keep us warm until spring arrives in earnest. 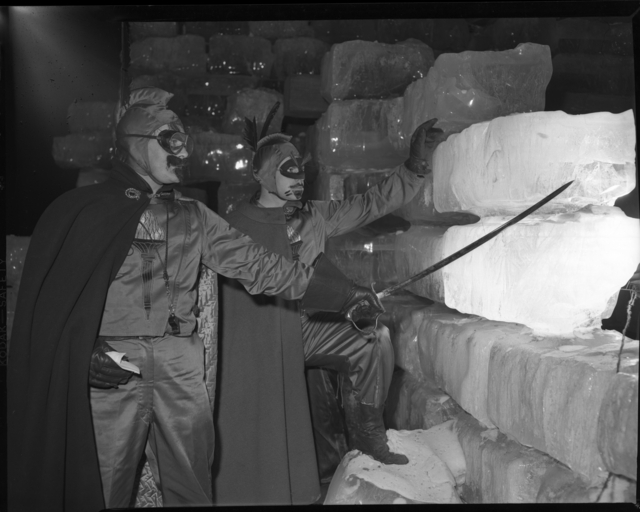 See more Saint Paul Winter Carnival images at the Minnesota Historical Society's Collections Online!